After two member surveys conducted online and some deliberation regarding the use of the original CoWLUG brick-buillt cow head versus a LEGO full cow element, active members have moved ahead with the above logo for use in the upcoming Colorado History Museum show. The current view is that this will be a transitional logo. Any new graphic ideas for a logo can be posted by members to the yahoo groups list for consideration by the group. Thanks to everyone for their input and comments as we navigated through this process. CoWLUG members volunteered March 23-25, 2012 for the LEGO Creation Nation free build event at Colorado Mills Mall. The event marked the grand re-opening of the larger LEGO store at the mall. 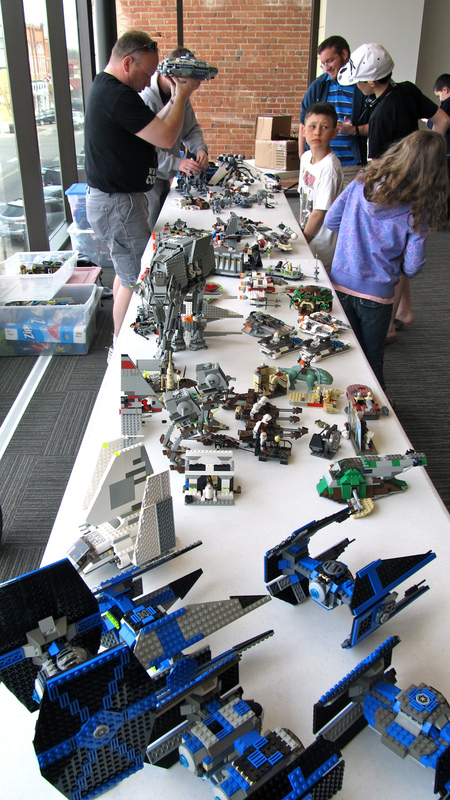 Plenty of fans showed up to build with a nice selection of bricks and plates on small baseplates. 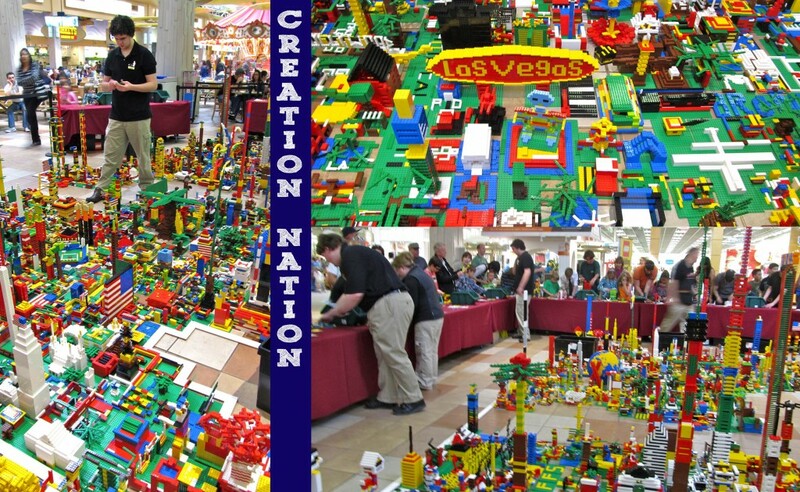 Creations were placed within the larger “nation” on the floor. A special thanks goes out to all members who showed up to volunteer and to the LEGO store for providing snacks, drinks and some fun rewards for our time. 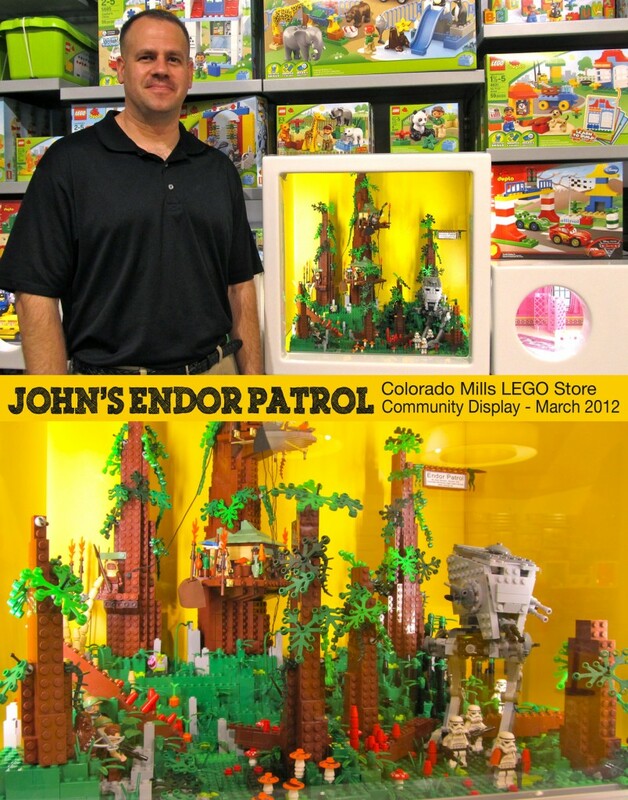 John will be organizing the next event at Colorado Mills on April 22nd, a MOCs based show consisting solely of creations built by CoWLUG participating members. LEGO stores across the country have started up the Community Window once again. Local LUGs may organize displays that meet specific criteria for a month long display. Within the CoWLUG group, Matthew Ramsey is organizing the window rotations for the Colorado Mills LEGO store and Reed Yaeger is organizing the window for the Park Meadows LEGO store. You can contact either of them through the Yahoo Groups CoWLUG list if you are interested in learning more about the requirements. Star Wars & LEGO. Can there ever be a more perfect combination? 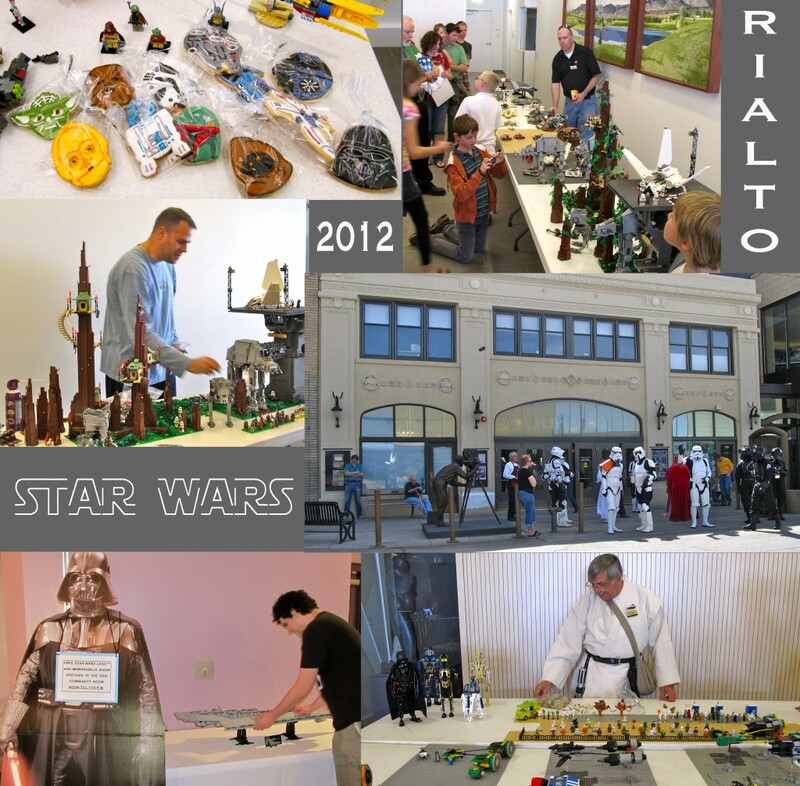 The Rialto Theater in Loveland featured two screenings of Return of the Jedi for a packed theater on Sunday, March 18th. How does a theater in Loveland Colorado get it’s hands on the film you ask? Turns out Rosanne, Rialto organizer, used to play pinball with George Lucas. CoWLUG was luckily asked to participate in the extravaganza by displaying Star Wars LEGO sets and MOCs for the crowds. Hundreds showed, some in costume, to spend time with CoWLUG members and the 501st Legion Mountain Garrison. Star Wars cookies provided to participating CoWLUG members by a devoted fan. Thanks! Art went all out with an impressive display – and this photo was taken when he was only about halfway through setup!